Author Tim Winton is an officially named National Living Treasure of Australia; starting in the 1990s, Winton's books gained renown, earning him status as a great novelist not only from, but of Australia. His works capture something of the national character, though what the relationship between the country and Breath is up for interpretation. 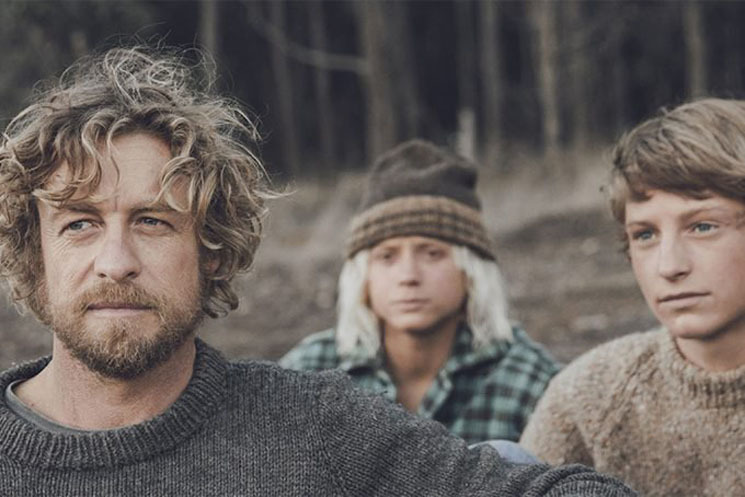 Winton's countryman Simon Baker stars in and directs the film, which concerns a young teen with mild parents and his wild best friend who share a connection with water. Pikelet (Samson Coulter) says in a bit of early narration that he first meets Loonie (Ben Spence) in a river –– in, mind you –– and that's where we first see them, drifting underwater. Being coastal Aussies in the 1970s, they aren't far off from the active world of surfers, a male club that immediately catches their eye, including their eventual mentor, Sando (Baker). A former pro surfer, he now devotes his life to finding the best times and spots to surf, no matter the danger. It's with an air of mystery and vague mysticism that he inducts the boys into the club, spouting off lines like "Let's just say we have an appointment with the undisclosed" and pushing them to new extremes. The sport as an undertaking is the perfect distillation of the individual against nature, one that's hard-to-impossible to fake well in filming. Everyone, from Coulter to Spence to Baker himself, can manage themselves on a wave as well as they hold their own back in an emotional scene back on land, a minor feat of casting. Surfing is the nexus of Pikelet and Loonie's coming-of-age, but, for the former, there's also action back on land. Besides a girlfriend at school, whom we see almost as much as the copy of Heart of Darkness he's reading, there's Eva, Sando's partner, played by Elizabeth Debicki. She's a former ski jumper who's suffered an accident that hampers her mobility and cuts her off from the world on the water Sando devotes himself to. Left to her own devices, she makes questionable choices with Pikelet who, again, is a young teen. The questions of Breath are crucial: of juggling risk and adventure with cost and reward, in surfing and love and life. The moments of unspoken observation tell the story much better than when the points are trumpeted loudly.